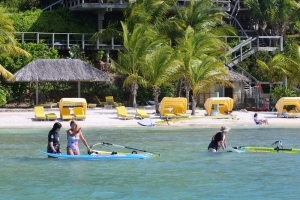 Looking for an island getaway in the Caribbean where you are one of only a handful of tourists? Here are three excellent recommendations. This is a haven for sailing and snorkeling enthusiasts. There’s lots to do at this 85 unit resort, and there’s great energy in the air in this sunkissed spot. You’ll find sailing school and regattas scheduled throughout the year. A solid choice for sun-loving romance travel, as well as for the family that likes to experience adventure and activities together. 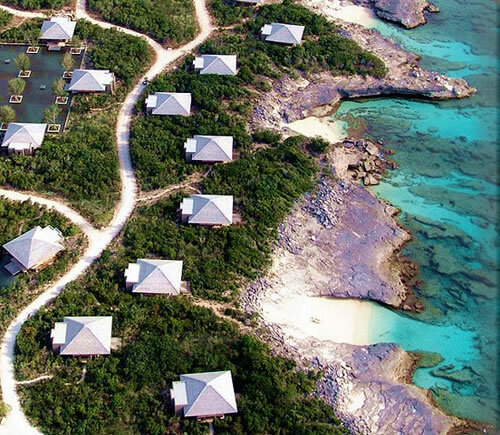 For serene luxury, consider Amanyara in Turks and Caicos. This 60 unit resort property sits next to Northwest Point Marine National Park. The units are open-air Asian pagoda style, and the property exudes a calming persona. Suitable only for adults (couples as well as those traveling solo) who just want a peaceful escape. 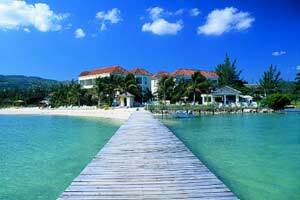 This small 50 room property is located in the Rose Hall area near Montego Bay Jamaica. It is convenient to the airport, and yet will offer you an intimate and laid back 4 star experience that you might miss with the mega resorts. This is perfect for the couple that wants to get away from the crowds. While families are welcome, it’s more for the sedate adult traveler. These resorts may take a bit more effort to get to (an extra flight connection, or limited flight options), and are definitely more expensive, apples to apples, compared to a Riviera Maya all-inclusive option. But if you’re looking for a little variety, these are great choices! Call or email for your vacation package quote today. ~Happy travels! 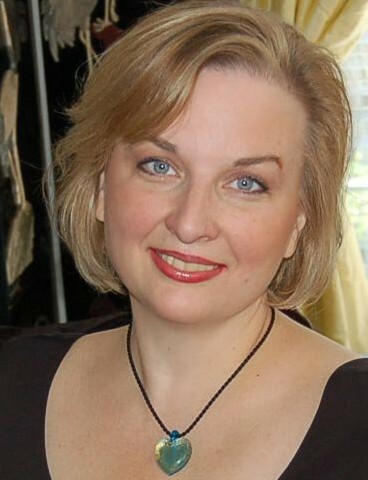 Cindy Grant, CTA, Reconnect Travel & Expert Family Travel. 972-625-6200 Located in The Colony Texas, in the Dallas-Fort Worth metro area (near Plano and Frisco) Serving clients across the US. Okay, so everyone has heard of the Walt Disney World complex in Orlando, and Disneyland in California. And most people have heard of the Disneyland Parks across the ocean — namely in Paris, Hong Kong, and Tokyo. But have you heard of the Disney Vacation options that don’t expressly involve a theme park? 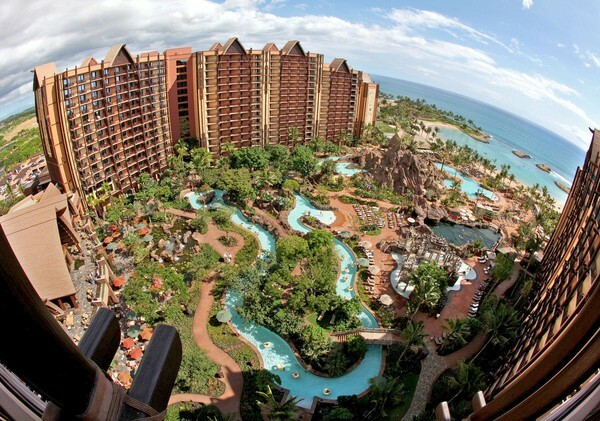 The new Aulani Resort in Hawaii opened last year, with a rousing thumbs up across the boards. While very family-friendly, this resort maintains enough ambiance and style that its equally suited for adults. This resort is designed to be an experience in itself, and is a great choice for upscale clients who want to just “chill” at their resort, and not so much touring and exploring beyond the park. And yes, you can explore the island with this resort as a base, but you’ll need a car rental, and you are losing out on the resort’s amenities. Disney is the genius when it comes to perfecting the guest experience. So, no wonder Disney’s upscale escorted tour company, Adventures by Disney, has received accolades and a growing repeat traveler roster. Itineraries for 2013 include North America, Europe, Central and South America, Africa, Asia, and the Pacific. Disney targets both the family and the adult couple market, and is a great option for multi generational families. Guides are uniquely Disney, and special experiences are planned for kids as well as for adults. And for those adults who are not inclined to travel with kiddos, there are exclusive Adult Only Departures. Hurray! I imagine this resort to be perfect for the couple or family with a car, and enough time and financial resources to extend their usual one week Disney experience into two full weeks. This gets you some quality beach time, in a beautiful stately beach resort setting. The beach here is the Atlantic, and isn’t nice (but not mindblowing). What is great, though, is a resort two hours from Walt Disney World, with elegance, exceptional service levels, and enough to keep you busy, if you run out of paperback novels to read. This resort caters to the Northeastern coast drive market who want to break up their drive en route to Orlando, and for those same clients who want a Disney-flavored vacation without having to drive all the way to Florida. This resort is Southern elegance Disney-style and suits couples and families who want to relax for a few days. Disney Cruise Line was, for a long time, a two ship cruise company departing mostly from Port Canaveral. Very recently, though, Disney Cruise Line expanded to four ships, with more in the oven. Itineraries span multiple departure ports and oceans, and unique itineraries pop up here and there. The result is a cruise line set to appeal to the return Disney Cruise Line fan, as well as appealing to a broader upscale audience who might want an itinerary beyond the usual Florida-Bahamas thing. Very popular with families, holidays and school breaks tend to spike the price (due to overwhelming popularity at these times). But if you can travel when schools are normally in session, you can save. Also, booking early will most certainly get you a better rate. The Mouse is coming to Texas! That’s right, beginning in mid September, Disney Cruise Line’s Disney Magic cruise ship will offer itineraries out of Galveston through early May. In early 2013, Disney Cruise Line® will offer a variety of new itineraries departing from Galveston, Texas, providing even more cruise options for you. In addition to Western Caribbean cruises, Disney Magic® will set sail on 4-night Caribbean getaway cruises and 8-night Bahamian cruises that include a visit to the Walt Disney World® Resort and Disney’s Castaway Cay. New! 4-night Caribbean sailings are perfect for travelers looking for a quick getaway. The itinerary includes two days at sea to sample the one-of-a-kind Disney Cruise Line shipboard experience. Ports: Galveston, Cozumel. Departure dates: Feb. 1, 5, March 15, 19, April 12, 16. 6-night Western Caribbean cruises offer a tropical vacation with world-class entertainment and impeccable guest service found only on Disney Cruise Line. Ports: Galveston, Grand Cayman, Cozumel. Departure dates: Jan. 12, 26, Feb. 9, 23, March 9, 23, April 6, 20, May 4. New! 8-night Bahamian sailings include a day at Disney’s private island, Castaway Cay, and a stop at Port Canaveral, Fla., giving you an opportunity to visit the nearby Walt Disney World Resort. As part of this itinerary, each Guest will receive a one-day Magic Your Way Ticket with Park Hopper® Option and roundtrip transportation between their Disney ship and the resort. Ports: Galveston, Castaway Cay, Port Canaveral, Key West. Departure dates: Jan. 18, Feb. 15, March 1, 29, April 26, May 10. 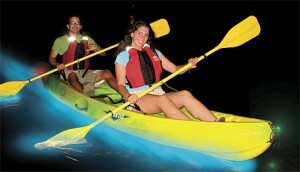 8-night Western Caribbean cruises chart a course for adventure with three fun-filled days at sea. Ports: Galveston, Key West, Grand Cayman, Costa Maya, Cozumel. Departure dates: Jan. 4. All 2013 itineraries are available to book now. ~Happy travels, Cindy Grant Travel Consultant at Reconnect Travel. 972.625.6200 Located in the Dallas metro area, serving clients across the US. Call today for availability and details on your next Disney Cruise. My 12 year old daughter and I recently returned from an excellent vacation at Azul Sensatori Resort in the Playa del Carmen area. This is a 4 ½ to 5 star luxury all-inclusive that’s family friendly. 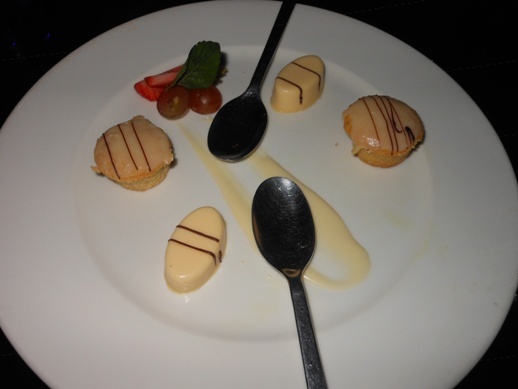 This was my first stay as a guest at this resort, and I must say – my expectations were definitely exceeded! The room was perfect (I want those pillows!). The service friendly and personable (even the maid was cheerful, imagine that!) And the food. Oh the food! It would have been very silly to try and diet last week. We stayed in the upgraded Premium section, in a Premium Oceanview Jacuzzi Suite. The rooms were well appointed, and the upgrade to the Premium section includes enough added amenities to make the additional cost well worth it. The food here is about as good as it gets in an all-inclusive that’s not adults-only. The Eggs Benedict for breakfast in Zavaz was especially good, and the gourmet burger menu (also at Zavaz) will get you coming back for another burger creation the next day. My favorite restaurant was Tapaz. Appetizer-sized tapas bites are served in a 6 course dinner. You get to try exceptional foods, and it’s an all-inclusive so you’re not worried about the bill at the end! House wines were palatable enough to enjoy with dinner, but there’s a fairly decent wine list (for purchase) if you prefer a better grape. 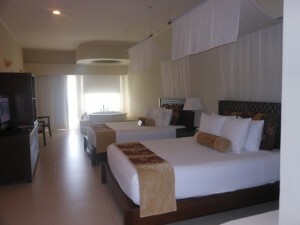 The spa is located on the top floor of the main building (over the lobby), and it is expansive and well equipped. I treated myself to a man-pedi-facial and while the services were very good, the prices were about twice what I pay for comparable services back home (in the Dallas area). This is no surprise though – the days of bargain priced spa treatments in Riviera Maya are long gone! The two negatives about this resort – and they may be deal breakers for you – is the quality of the beach and the number of small children at the resort. The beach is typical of many you find in the Puerto Morelos area in that there’s quite a bit of sea grass growing just off the shoreline. This is great for the fish, but it makes for grass bits washed up on the shore (which is raked with regular frequency), and the water here isn’t as “baby blue” as you might find in front of other resorts. The best cure for this little ailment is to prebook an activity at nearby Maroma Beach. The sand is powdery white, the water is crystalline, and there’s lots to do. One afternoon here and you can get your beach fix. Azul Sensatori touts itself as family friendly, and families you’ll definitely find here. There is an adults only section of rooms and an adults only pool. Also, the premium rooms have their own premium pool area, which is a bit less rowdy with the kids. And there is an adults only restaurant. Still, there’s no way to avoid them eventually, there are little kids at this resort! If you have little ones, you’ll fit right in. If you break out in a rash whenever a 3 year old stares at you, might I recommend staying at El Dorado Royale instead. 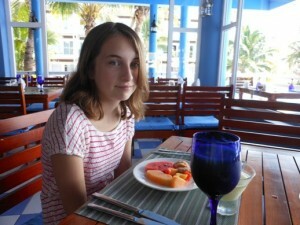 All in all, though, Azul Sensatori gets a “thumbs up” from both me and my daughter. We will definitely return. Last week brought the announcements of two resort closures in Tahiti (French Polynesia) during Fall 2012. Sofitel Tahiti Resort, a 3 1/2 star beachfront resort hotel in Papeete Tahiti is scheduled to close on November 30. Their sister properties in Moorea and Bora Bora will remain open. Also announced is the closing of Manihi Pearl Resort, a 3 1/2 star resort located on the atoll island of Manihi on September 15. Their sister properties Bora Bora Pearl Resort, Moorea Pearl Resort, Tikihau Pearl Resort, and Manava Suites Resort will remain open. I’m especially sad to hear about Manihi Pearl Resort closing. I never got a chance to visit it (though I have visited all other sister properties). Its closing effectively means no decent lodging options on the remote island of Manihi. However, if you are looking for the atoll island experience (which is a ring island with a lagoon but no extinct volcanic island in the middle) there’s still Tikehau Pearl Resort (on Tikehau) and Kia Ora Resort (on Rangiroa). Cindy Grant, CTA, Travel Consultant at Reconnect Travel 972.625.6200. Located in the Dallas metro area serving clients across the US. Looking for a day tour or two to spice up your next vacation? Here are some adventures that are sure to get your adrenaline up and running! Most of these tours can be prebooked for your convenience. Just ask! So, maybe you are wondering — where in the world can you find overwater bungalow accommodations? Fiji has one property — the Likuliku Lagoon Resort — offering 10 overwater bungalows (called “bures”). 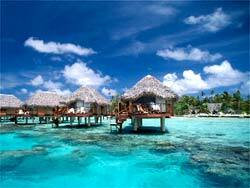 Cook Islands in the South Pacific has a deluxe resort featuring seven overwater bungalows. Upolu, one of the Samoan Islands (also located in the South Pacific) has one resort that offers a couple of overwater bungalows (“fales”) along the shoreline. The Maldives has more of the classic overwater bungalows than any other destination. Located in the Indian Ocean and with few flight options from the US, the Maldives is an impossible destination for most Americans due to the flight costs and travel time. There are more than 75 resorts in the Maldives offering overwater accommodations from budget to luxury. These properties aren’t quite what you envision when you think of an overwater bungalow. Perhaps they offer over-the-water building, or hang over the shore’s edge in some way. Or, maybe the water isn’t the clear, calm lagoon that invites an easy dip. Panama has three very small, very budget, no-frills resorts that have overwater hut-type accommodations. These properties don’t have the upscale or luxury touches to make them good choices for the honeymoon couple, however. Roatan Honduras has three properties that have bungalow-type accommodations that sit perched over the water’s edge. The water isn’t going to be crystal clear or calm, and you won’t find upscale or luxury touches here either. Belize has four small properties ranging from budget to luxury, offering a few overwater type bungalows. While not on the quality you’ll find in the South Pacific or the Maldives, this is the closest you’ll find in the Caribbean to an overwater bungalow experience. Sandals Grande St. Lucia anticipates opening it’s overwater bungalow category beginning early 2013. Expect sell-out status and a high price tag. Being a travel specialist for dream beach destinations, I occasionally get an email from a client with a gorgeous postcard quality image (of a beach or resort) followed by the question of “where is this place?” It’s a sort of Where’s Waldo for the bucket list. 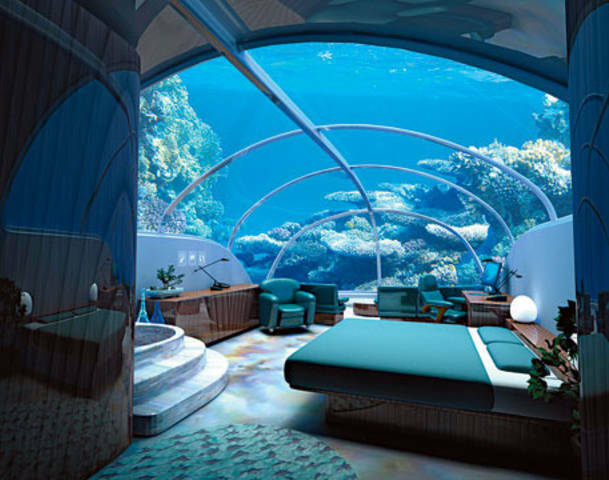 Problem is that this resort (the Poseidon Undersea Resort in Fiji) which was to cost $30,000 per couple for a 6 night all-inclusive stay (4 nights in a beach bure and 2 nights underwater in this suite in the image) NEVER MATERIALIZED! Yes, that’s right. The resort never opened. In fact, this picture is a drawing and not an actual underwater suite. It sounds like it was more of a sham rather than delayed construction efforts because the actual island location was kept a secret (how handy), and no one in Fiji knows of construction going on. Bummer, right? So for now at least, you’ll have to -settle- for overwater accommodations instead of underwater accommodations! And this is officially one resort you can scratch off that bucket list. ~Happy travels, Cindy Grant Travel Consultant at Reconnect Travel/Expert Family Travel. 972-625-6200 cindy@expertfamilytravel.com Located in the Dallas-Fort Worth metro area (in Texas) serving clients in the US and Canada. 1. NOT ALL RESORTS ARE CREATED EQUAL. Just because a resort offers destination weddings and is all-inclusive does not mean you want to have your destination wedding there. Not all resorts are created equal, and certainly not all of them have acceptable service levels, public space quality, and decent wedding departments. The resorts we use have met our standards. If you book your own destination wedding, you’ll spend hours researching online to compare results, and you’re never quite sure the validity of the material you read online. Is it worth the risk? There’s a deposit to set up your destination wedding, and is applied towards the bride and groom’s initial deposit. There are no additional fees that you will incur by Expert Family Travel for arranging your travel, your guests’ travel, or in setting up your wedding ceremony. Of course, the resort and wedding vendors will charge for their packages and services, as applicable. We can arrange destination weddings for 2 to 200 (and more). While we can arrange your destination wedding to be a group with minimum head count, it is more likely that multiple individual reservations booked into your wedding portfolio is a better way to go. Your guests are then free to leave from their departure city airport, and there is flexibility in travel dates. The best news is that the guest (and not the bride/groom) is responsible for their travel costs, and you can avoid the financial risk that comes with negotiating guest room space directly with the hotels. Sure you can coordinate your friends and family’s travel, but why should you? Simply give your guests the contact information for your travel agent, and let them arrange details directly. In addition to competitively priced rates, the bride and groom can receive $25 per room credit back for all guests who attend the wedding (restricted to certain destinations and resorts). Working with Expert Family Travel means you have an expert on your side who can advise you on some of the pitfalls of travel, has established working relationships with resorts and wedding coordinators, and can assist you in a crisis. This is deal is too good to pass up! Paul Gauguin is a great way to see multiple islands in Tahiti. I recommend adding one night in Papeete prior to the cruise.